This post is purely a bragging post. This year was the first year I tried to start my own garden. I tried tomatoes, cherry tomatoes, basil, rosemary, lemon thyme, parsley, zucchini, and squash. 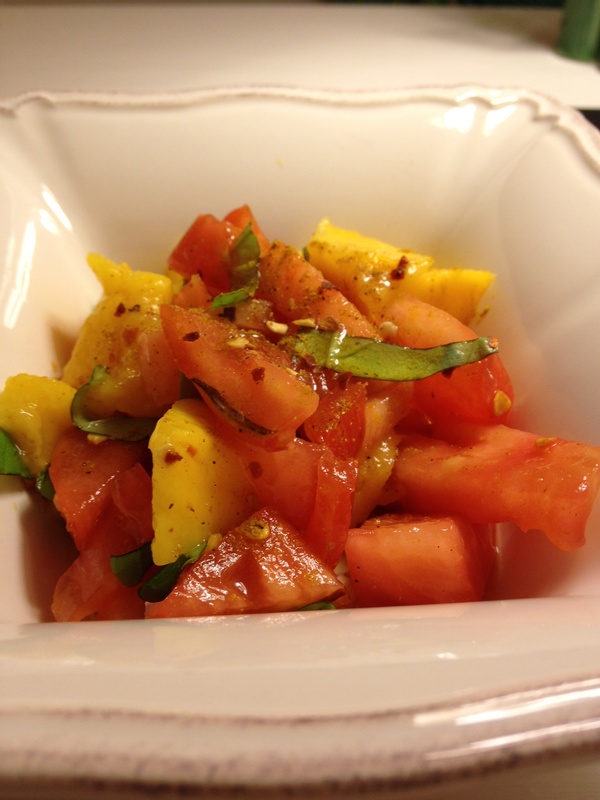 I picked my first large tomato the other day, plucked a few basil leaves, and had a great dinner salad! Perfect for summer. I’m so proud of myself. 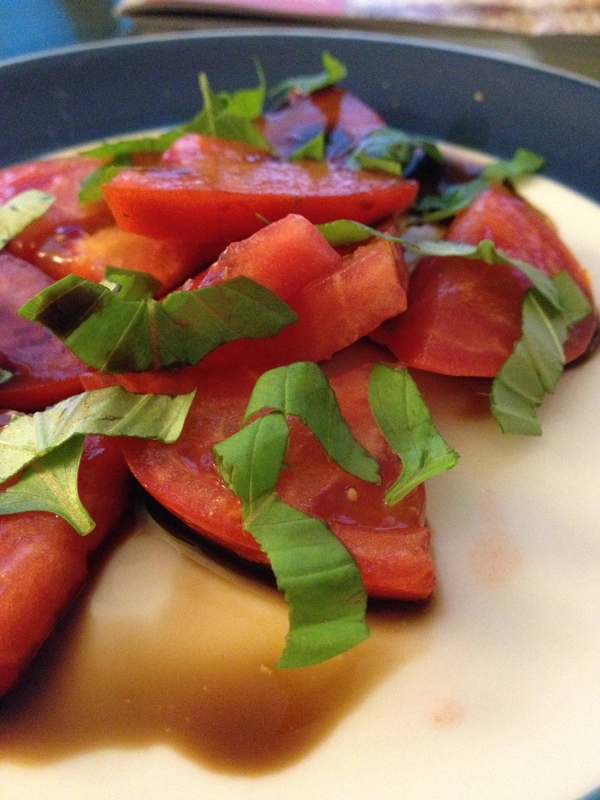 Just a drizzle of balsamic vinegar and a pinch of salt, and summer is in full swing! I’m off for a little summer vacation and will be off the grid for a few weeks. Can’t wait to come back with new food ideas and inspiration! Hello again! I haven’t posted in a while, but am back, ready for summer, and still in the kitchen! 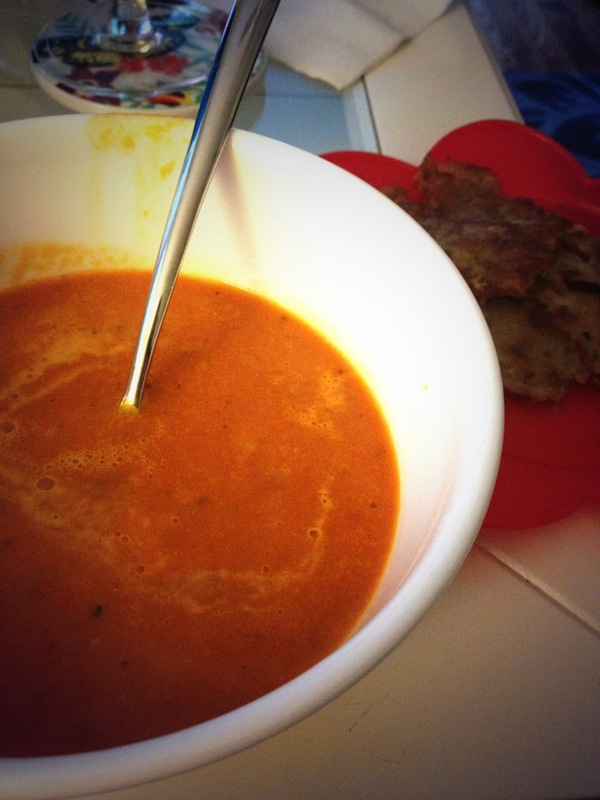 My mom recently made this Roasted Tomato Soup recipe for me when I was under the weather, and it is delicious. It comes from Tyler Florence, and is made from actual tomatoes. Definitely one of my favorites. All my mom did differently was make it gluten and dairy free! Put the cut tomatoes, garlic, and onions on a baking tray. Drizzle with olive oil and salt and pepper. Remove the tomatoes, garlic, and onions from the oven and put into a large stock pot. Add the chicken stock, bay leaves, and butter. Bring to a boil, reduce heat, and let simmer for 15-20 minutes. Using an immersion blender, puree the soup until smooth. Return soup to low heat and add the coconut creamer. In the summer, I love fresh basil pesto over pasta. 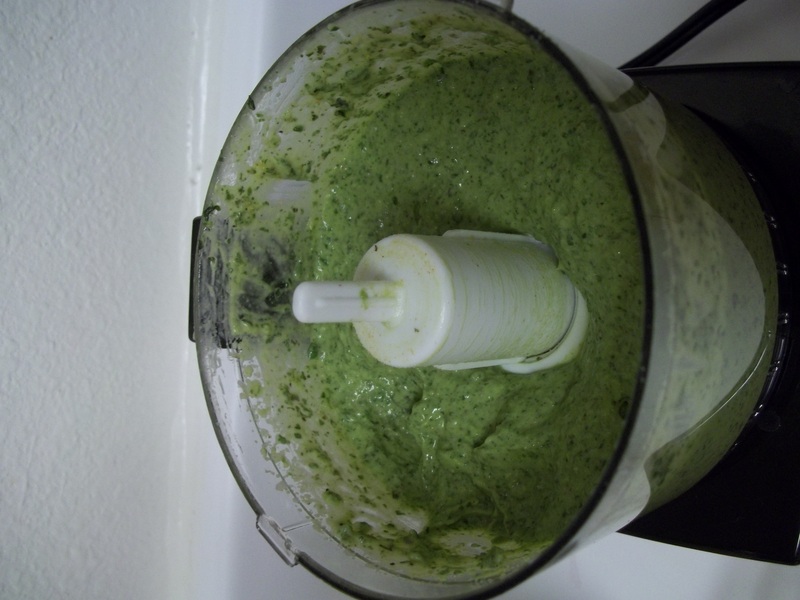 In the winter, basil is not as readily available… so I made this wintertime pesto using a sundried tomato base instead. 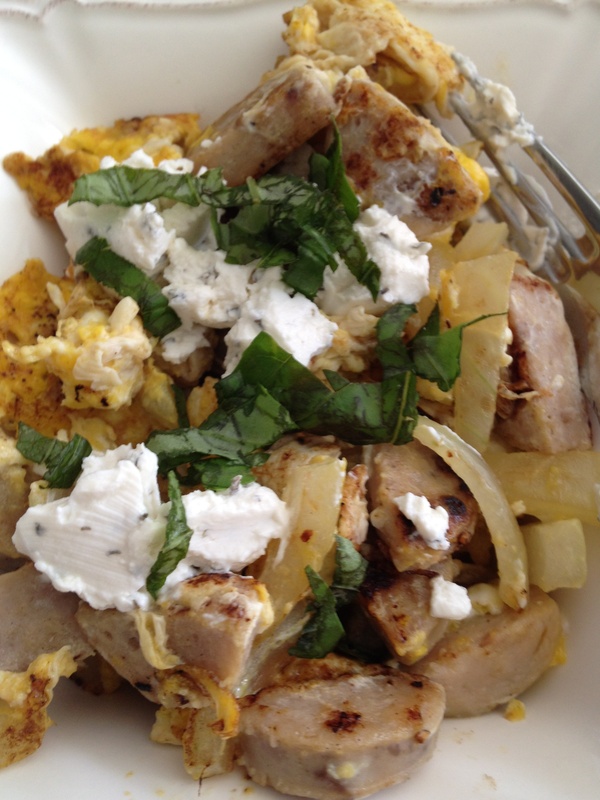 I added a few different flavors by using cashews and topping it with lemon zest and goat cheese… delicious! Hope you enjoy this winter time treat. Cook your favorite gluten free pasta until done, reserving one half cup of the pasta water before draining. In a food processor or mini chop, add the drained sundried tomatoes, olive oil, cashews, one third cup basil, coconut milk, garlic, pepper, and pasta water. Chop on high until well combined. To plate, serve the pasta in a bowl. 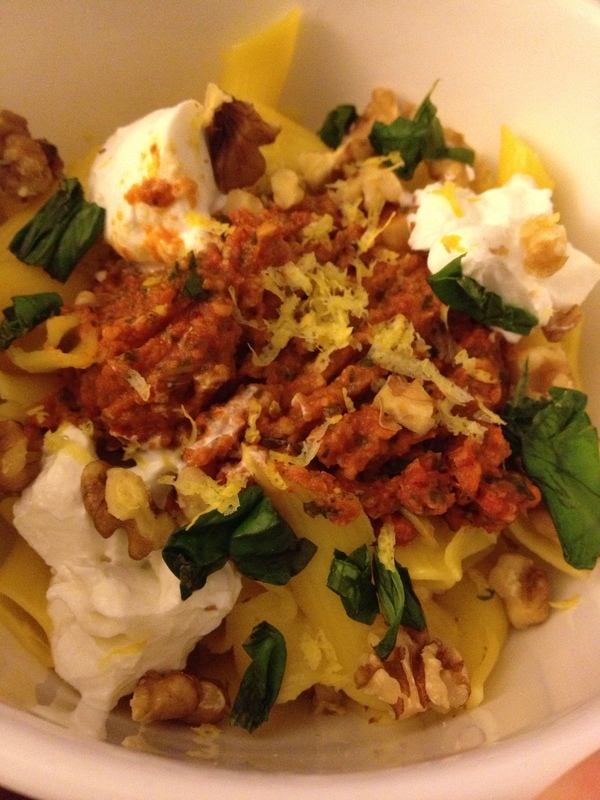 Top with 2-3 generous scoops of the pesto, goat cheese, walnuts, chopped basil, and lemon zest. Put on as much or as little as you like! In an attempt to continue to eat healthy despite the busy schedule of fall, I spent a lot of time in the produce section of the grocery store this week. I bought a large eggplant. I wasn’t exactly sure why, but I thought it would come in handy. When I got home, I realized that I had some corn pasta and canned tomatoes in the cupboard, as well as some fresh basil in the front yard. 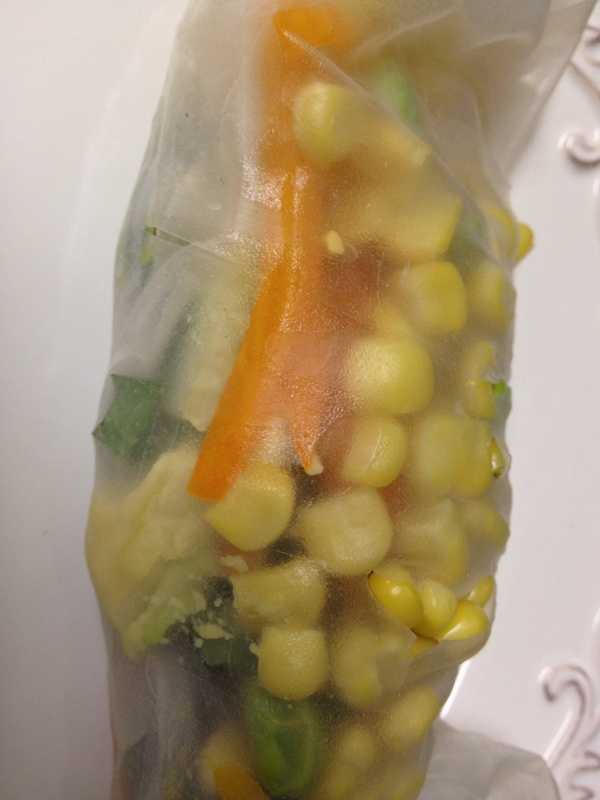 So, I made a mish mosh of recipes! I cooked the corn pasta, made a quick tomato sauce, and sliced the eggplant to make crispy eggplant (oh, how I love this recipe!). 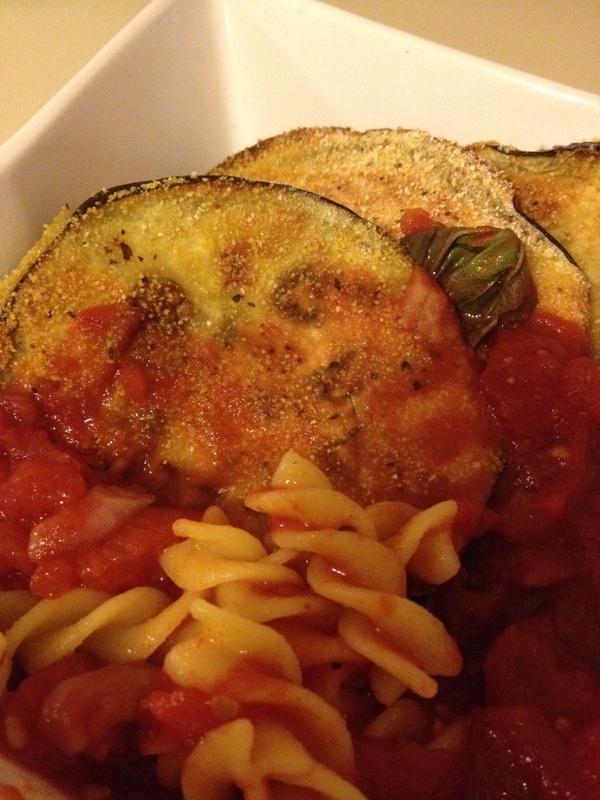 I served the pasta and sauce over the crispy eggplant for a perfect week night meal! I then put the roasting pan in the oven at 375 for about 20 minutes until heated through. This recipe is similar to Mama’s Meat Sauce, and almost as tasty! You could certainly use Mama’s Meat Sauce over the corn pasta and eggplant for a heartier meal. Serve the corn pasta, crispy eggplant, and homemade sauce for a great recipe roll over meal. Have you entered the Slim Kicker Giveaway yet? You could win a free slow cooker. It is 6 quarts, stainless steel, and FREE! 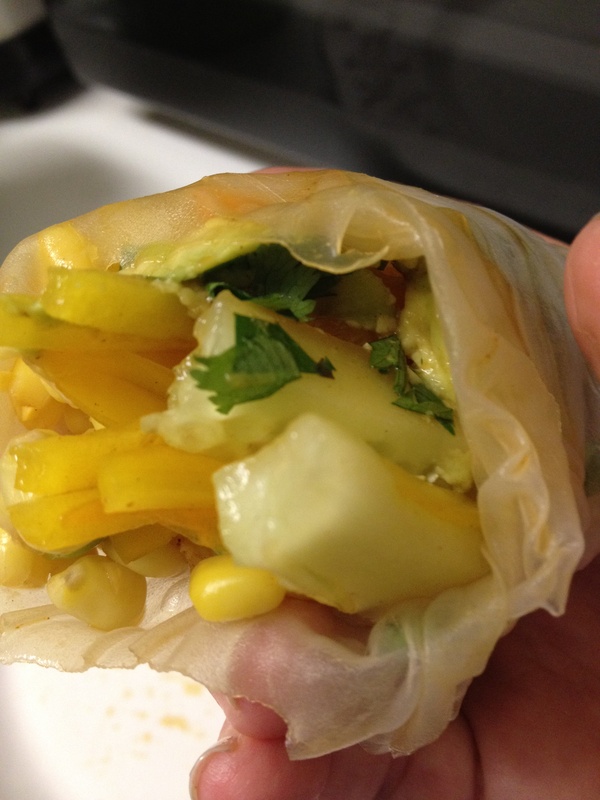 Just go to Tuesday’s post, share your idea for a healthy tip, and SlimKicker will pick the winner. I will notify the winner next Tuesday. Good luck, and can’t wait to hear your ideas. On another note… living in a house means I can grow my own fresh herbs. Right now, I have dill, basil, and parsley. I have been trying to cook with these fresh ingredients (and be thankful that I don’t have to spend extra money at the grocery store). 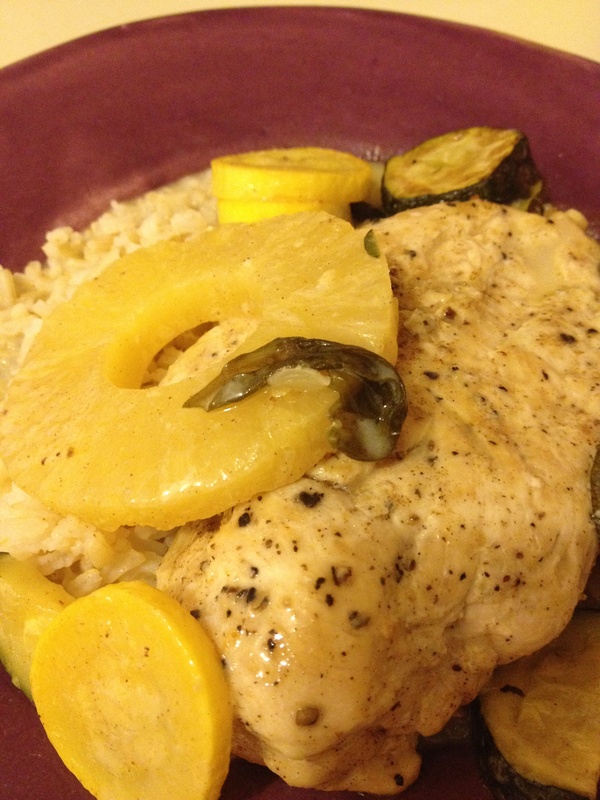 So, I made a very mild chicken dish… Lemon Basil Chicken. 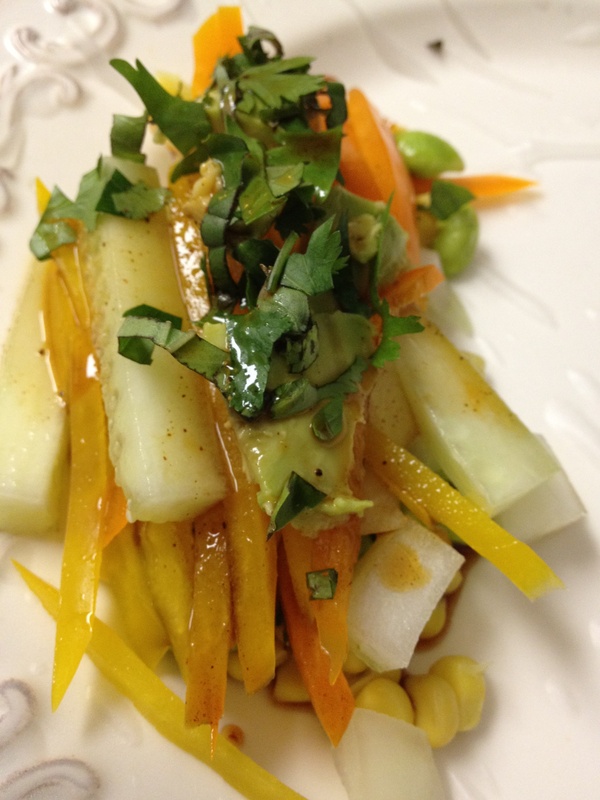 It is slightly sweetened with brown sugar, and is a quick and easy summer dish. Thinly slice 4 lemon slices. In a saute pan with the olive oil and 1 tsp. brown sugar, saute the lemon slices for about 2 minutes each side. This will sweeten them. 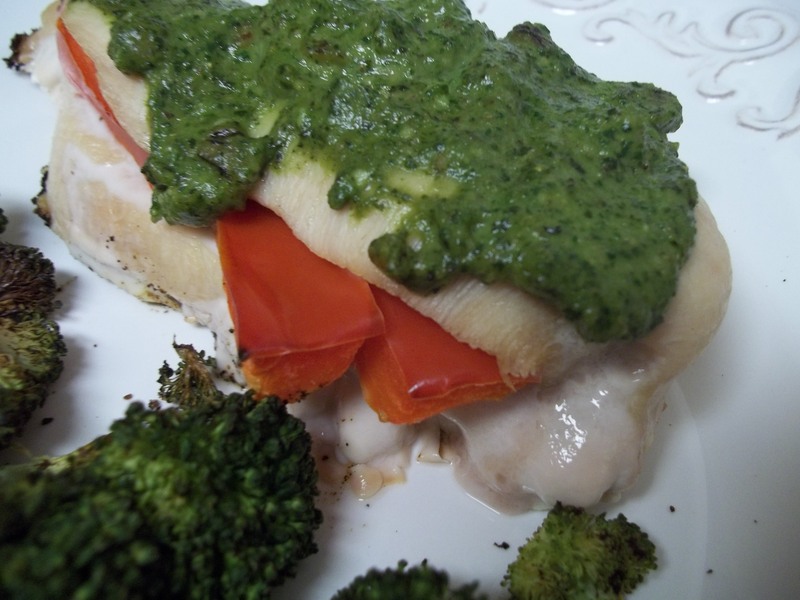 Cut each chicken breast in half, like a pita pocket, making sure not to slice all the way through. 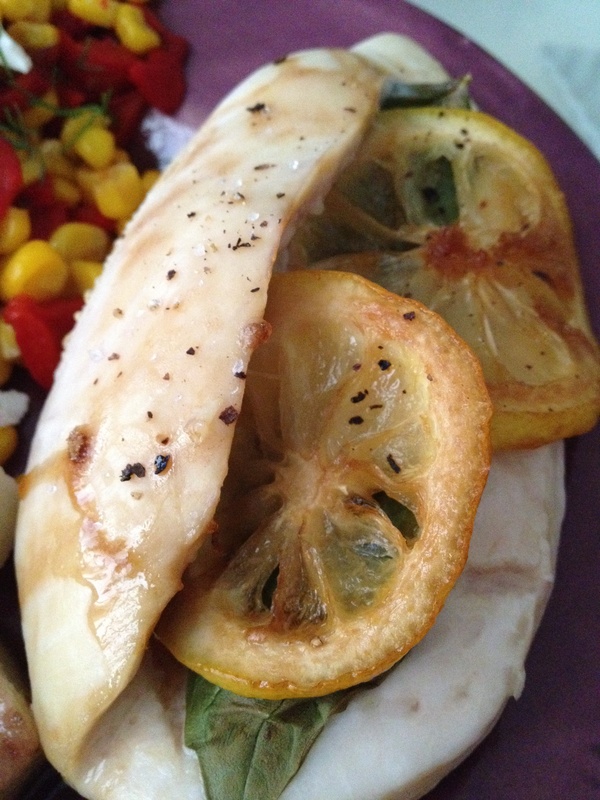 Stuff the each chicken breast with 3 basil leaves and 2 sweetened lemon slices. Squeeze the rest of the lemon juice over the chicken, sprinkle the rest of the brown sugar, and season with salt and pepper. Bake at 375 for about 25 minutes, until chicken is done. I usually eat half of an avocado and some gluten free granola with soy milk for breakfast. But I like to get a little more creative and involved on the weekends. I also try to eat one egg on the weekends, in hopes that my body will be “less” allergic to them in the future. I can handle one egg, but am scared to try more. So, with my one egg indulgence, I made a sausage and egg scramble that was scrumptious on this lazy Sunday morning! In a saute pan, add the onion, butter, and salt and pepper over medium heat. Saute until onion is soft. Add the sausage and saute just another minute or two, until the sausage is browned. Add the egg, and stir to get the egg scrambled and cooked. Reduce heat to low. When cooked through, pour into serving bowl. Add the goat cheese and chopped basil. Give it a stir and serve hot.